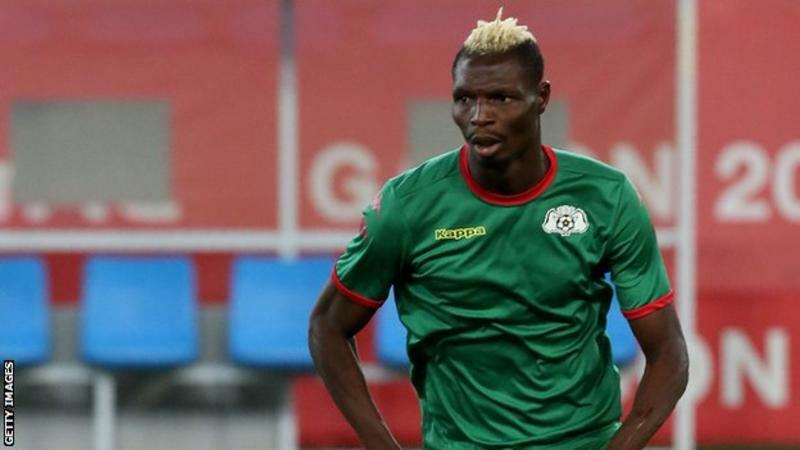 Burkina Faso international Aristide Bance has returned home to play for top-flight league Sports Union of Armed Forces (USFA) after 15 years playing abroad. The 34-year old striker has joined the Ouagadougou-based club until the end of the season after terminating his contract with Egyptian side Al Masry. Bance has been on the side lines since May last year as he was recovered from Achilles tendon injury. He sustained the injury during Al Masry's 2-0 victory over Mozambique's UD Songo in the group stage of the Confederation Cup. USFA are the second Burkinabe outfit, after Santos, and 21st club overall for the widely travelled former Augsburg, Dusseldorf and Samsunspor striker. He has had spells with clubs in Ivory Coast, Belgium, UAE, Latvia, Finland, Qatar, Ukraine, South Africa and Kazakhstan. Bance will hope to play regularly enough to force his way into the Burkina Faso national team, as they bid to qualify for the Africa Cup of Nations finals in Egypt. He has made 73 appearances for Burkina Faso, including the 2013, 2015 and 2017 Nations Cups, and has scored 22 goals. Bance helped The Stallions to reach the final of the 2013 Nations Cup, including converting his spot kick as the beat Ghana on penalties in the semi-finals. They went on to lose to Nigeria in the final to end the tournament as runners-up, their best ever finish in the history of the Nations Cup. Bance's last game for Burkina Faso was in a 4-0 home win against Cape Verde in a 2018 World Cup qualifier on 14 November 2017. Bance is back? Bredas don enta okra soup with Kenke and oririshi meat.